Marvel’s Spider-Man, the big triple-A PlayStation 4 exclusive featuring everyone’s favorite neighborhood hero, is due to land on September 7th. A launch trailer even popped up last week, even though the game is still over a couple weeks away from being available. 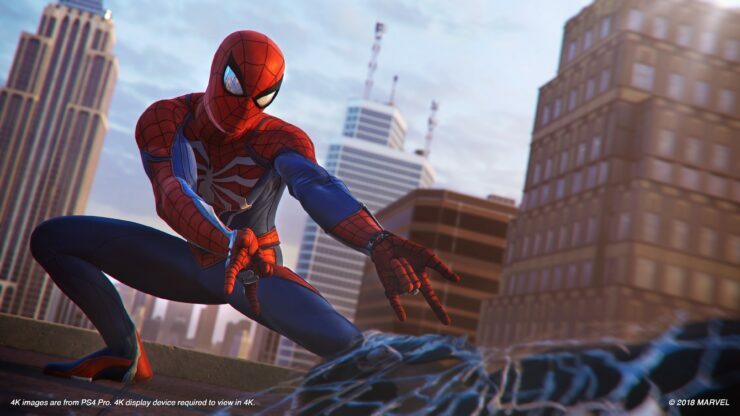 In an interview with New Zealander website Stuff, Insomniac’s Community Manager James Stevenson said that the studio was stunned to see how strong the pre-orders already are for the game. Stevenson also teased that the trailers released by the developers have shaken things up, suggesting that the events in the game might unfold a bit differently, which should be a relief for those worried about spoilers. I think there’s a lot of responsibility on fans, to guard themselves if they decide to, as much as there’s a responsibility on us to not show too much in some ways. I don’t know, people debate spoiler culture and if it’s needed, it’s a relatively new thing. I will say in this, we’ve been trying to to surprise people and to shake things up in a way that’s rewarding. Spider-Man is an open world game first and foremost, which means that there’s more than just the main narrative. Insomniac put all sorts of side activities into the game and Stevenson clarified that even those have ties to the overarching narrative, as customary with any Marvel product. We wanted it to feel dense and populated, we wanted the city to feel like it was people on the streets. The other thing we knew was we wanted to have activities which have story ties; it shouldn’t ever be a straight up challenge, there’s always a story for whatever you’re doing. In related Spider-Man news, a brand new page on PlayStation.com went up and it’s wholly dedicated to the game’s rogues gallery. It’s not much of a spoiler since Insomniac already revealed all these villains, so we’ve added the description of each Spider-Man nemesis below.